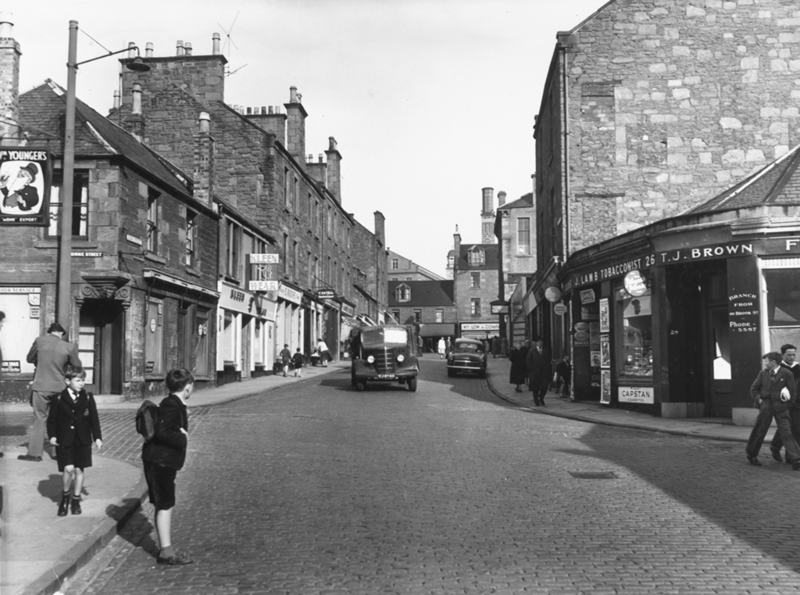 I was born in Dundee in 1953 and spent the first part of my life at 69 High Street. The family moved to Napier Place, Dryburgh where I attended Dryburgh Primary School. From Napier Place I moved again to Foggyley Gardens (the multi storeys) for a few years before ending up at Liff Terrace, Charleston. After Dryburgh Primary I spent a couple of years at Harris Academy on the Perth Road. Leaving school in 1968 my first job was as message boy for Wullie Lows in Lochee, those message bikes with the big baskets on the front were quite heavy to pedal and balance on especially with loads of wifies messages in the basket!! I left Lows in 1969 and got a job as a lemonade delivery boy with Robertson's Lemonade Company at the top of Taits Lane, just off the Blackness Road. Spent a great deal of my younger years in the snooker halls in Dundee city centre with my pals of the day, Colin Young's name comes to mind. I was a fairly hot snooker player in my day. I left Dundee in 1969 and joined the RAF from where I will retire next year. Do I miss Dundee? Yes, in a way but if I'd stayed there my future was bleak. I go back very very infrequently, I miss mealie puddens and mock chops from the chippies, Tennents Lager, Black and Tans (not available in England), Oor Wullie and The Broons. Growing up as a youngster in 60s Dundee was fairly hard, you had to be careful where you went and what you said, a wee bit like today. Regards to all the Dundonians who read this.